In Mazatlan, Sinaloa, Mexico, WBA super flyweight champion Hugo Cazares, 33 years-old, had no trouble retaining his belt by clearly and forcefully defeating his compatriot Arturo Badillo, 24 years-old. The chalenger never had a chance with the champion, who from the start more experience and skill. In the third round, Cazares dropped Badillo three times, making successfully the fourth defense of his WBA super flyweight crown. After two relatively uneventful rounds, Badillo immediately faded when the veteran two-time world champ started putting on the heat. Southpaw Cazares would drop Badillo twice with straight left hands in the third round and then close the show with a beautiful three-punch combination later in that same round. 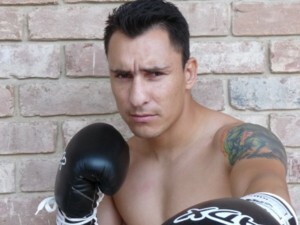 “El Increible” Cazares from Los Mochis, Sinaloa, raised his credentials to 35-6-2 (25). “El Fuerte” Badillo from Tijuana, Baja California, fell to 20-2-0 (18).